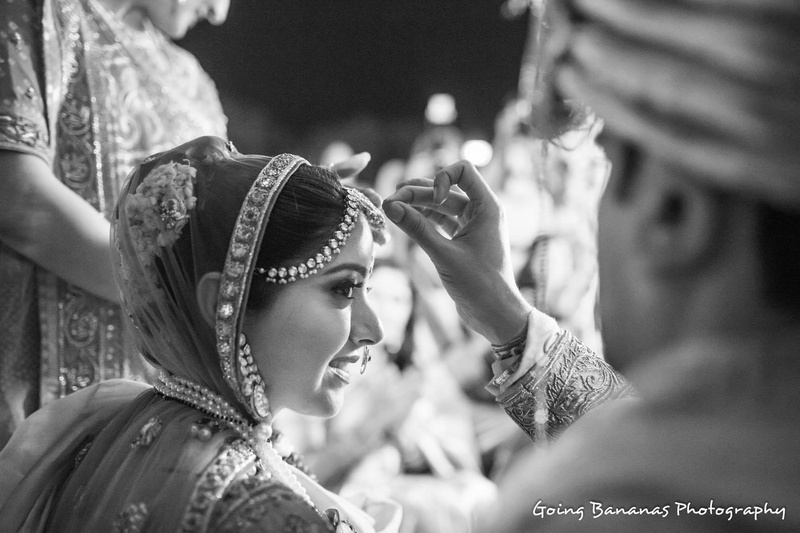 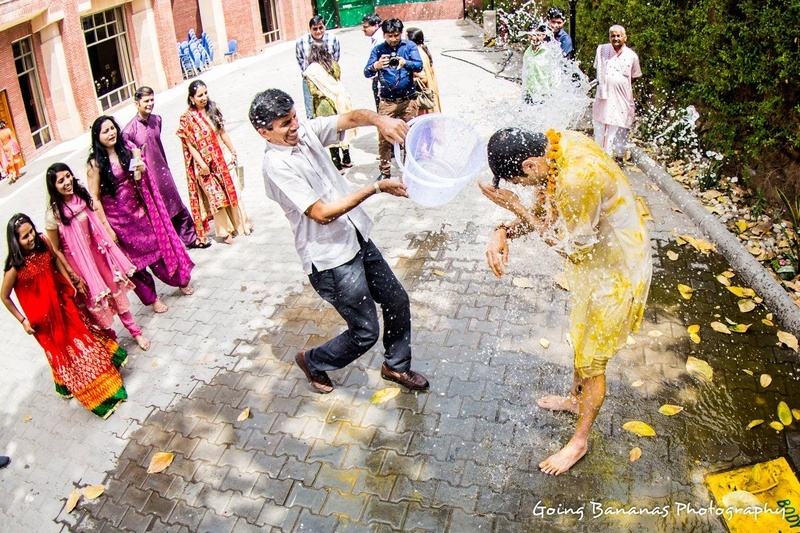 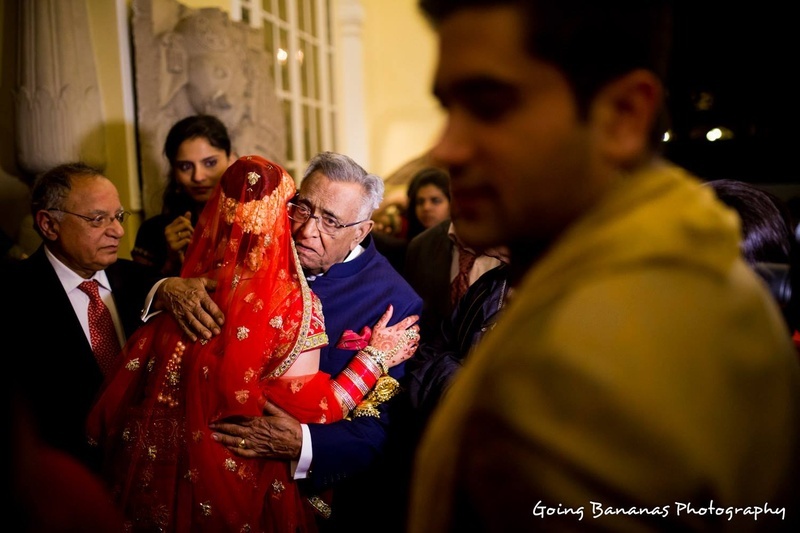 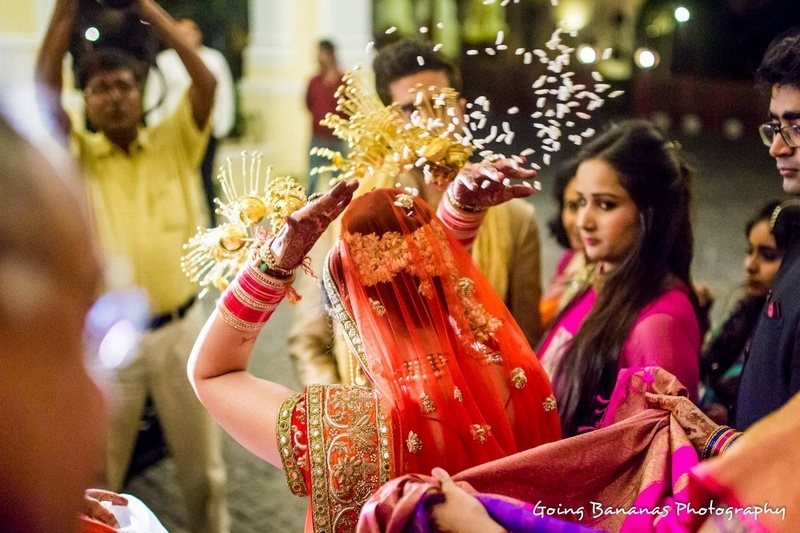 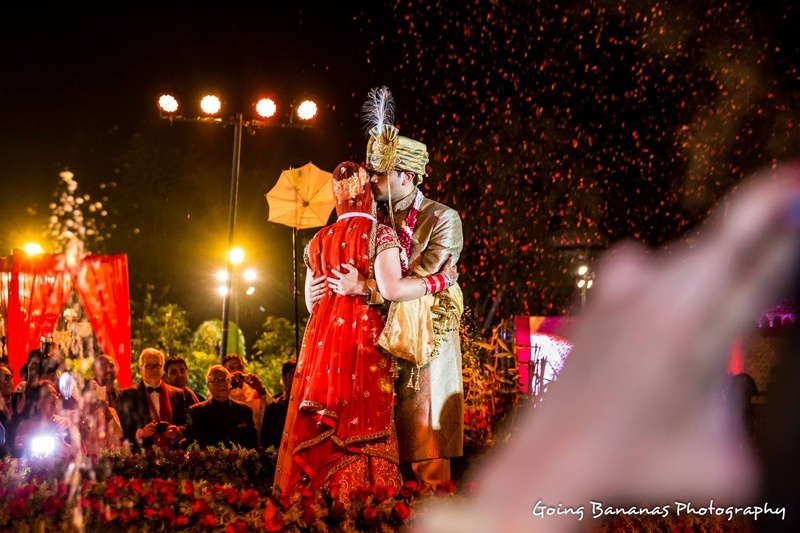 Deepika and Ankit had a destination wedding at Taj Jai Mahal, Jaipur which was all things fresh, fun and young. 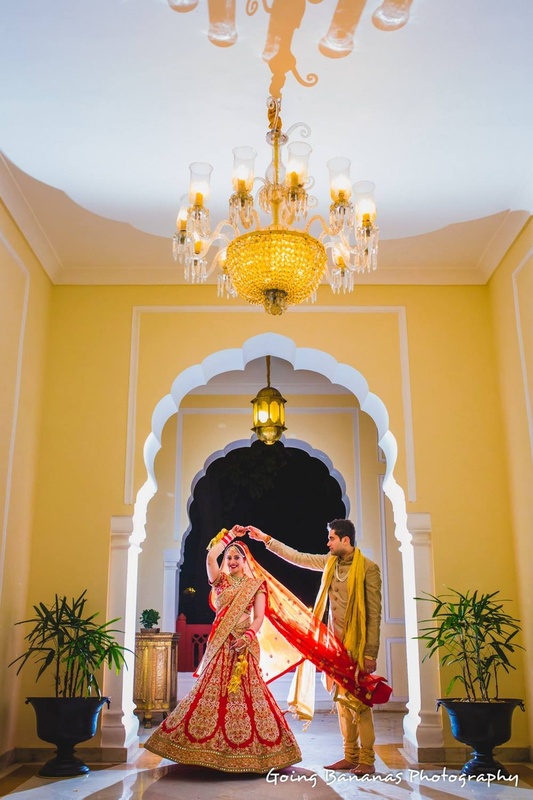 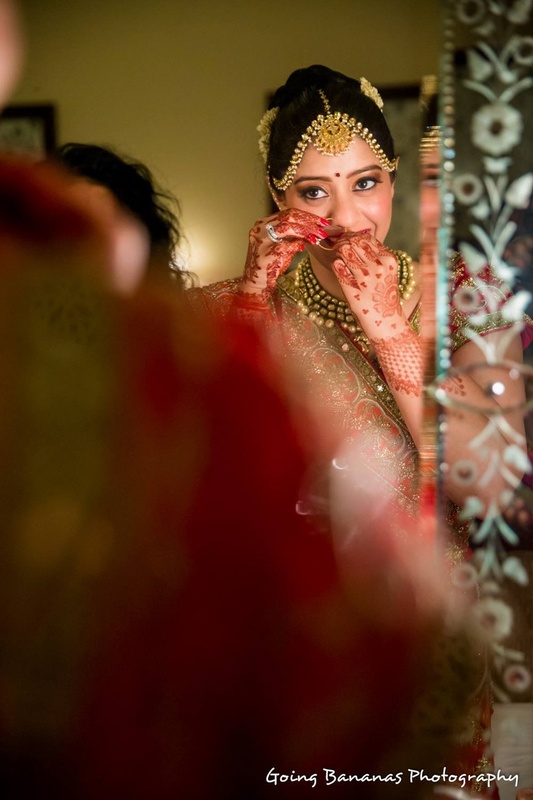 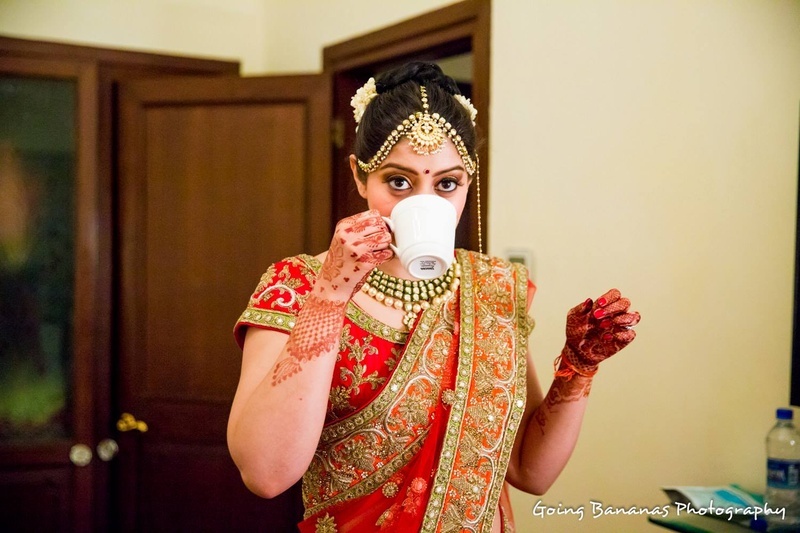 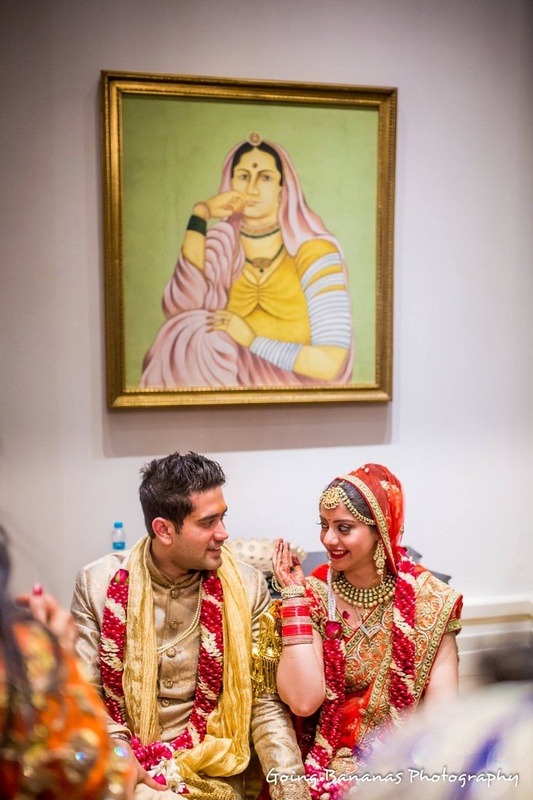 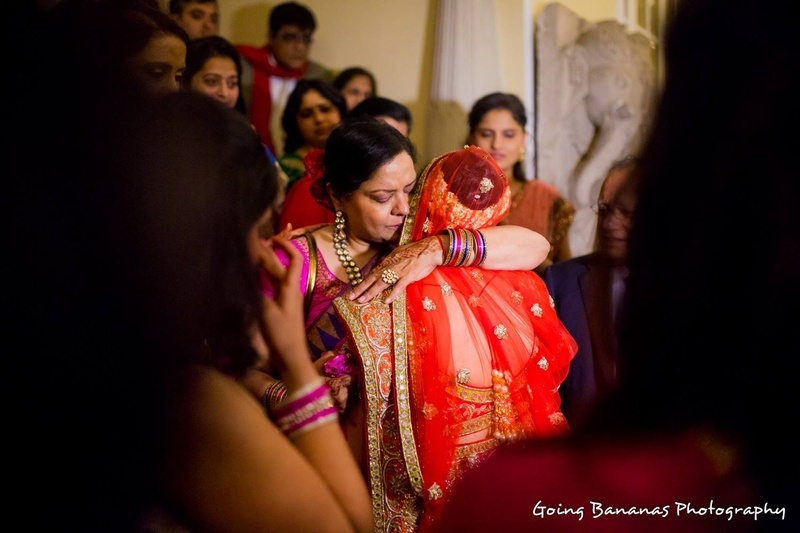 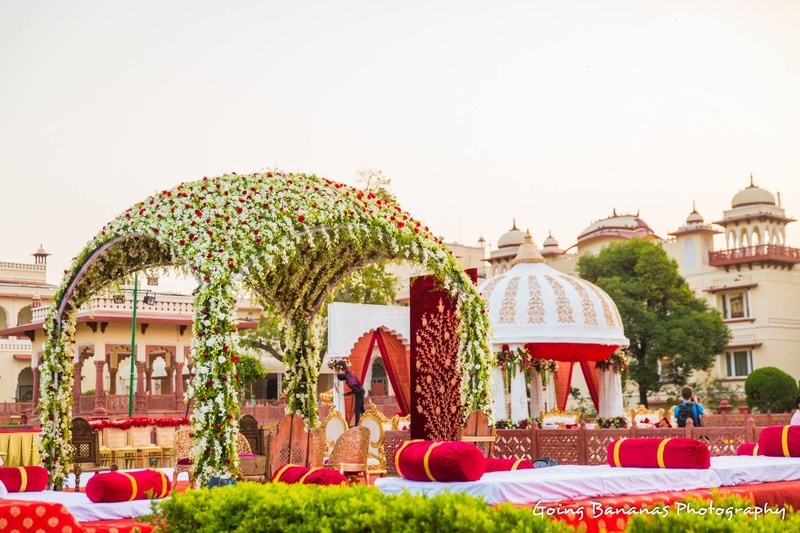 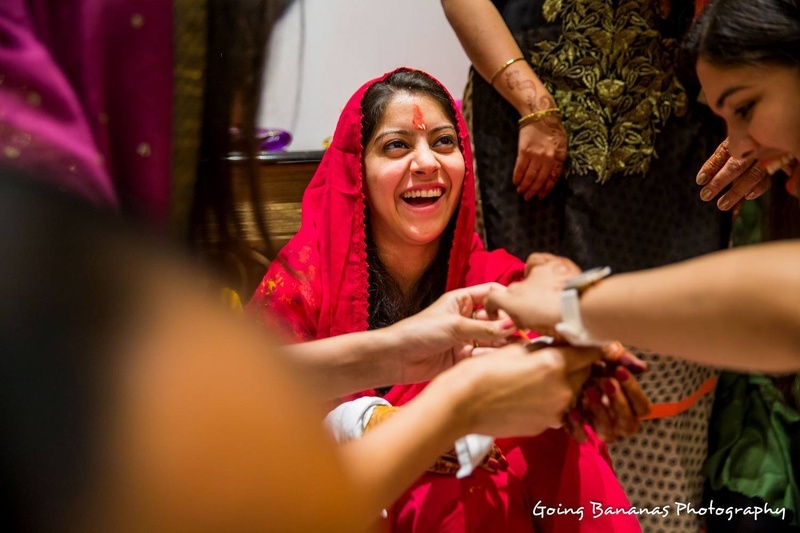 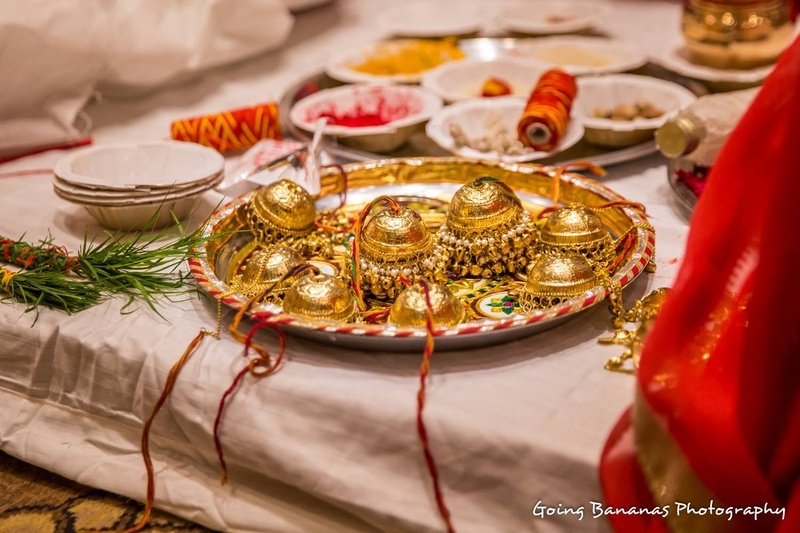 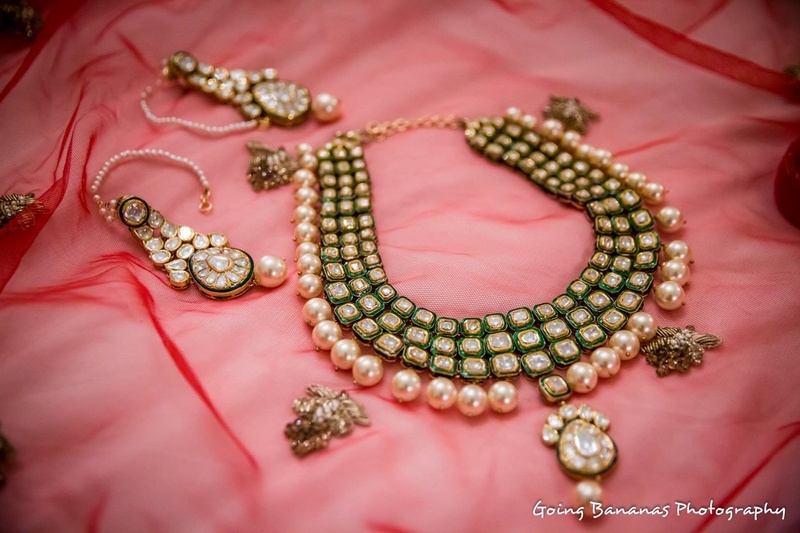 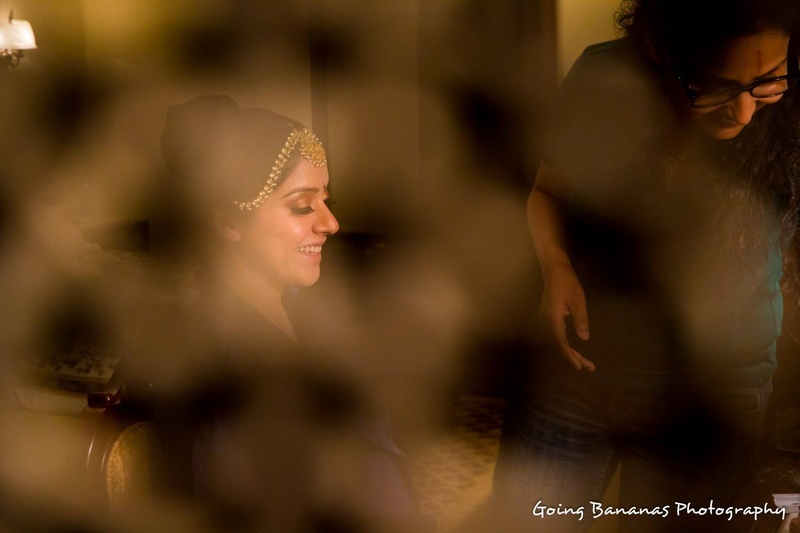 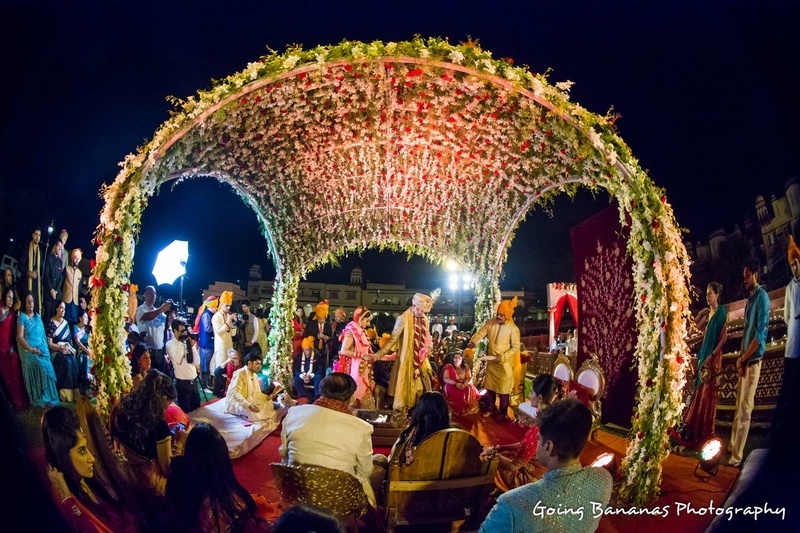 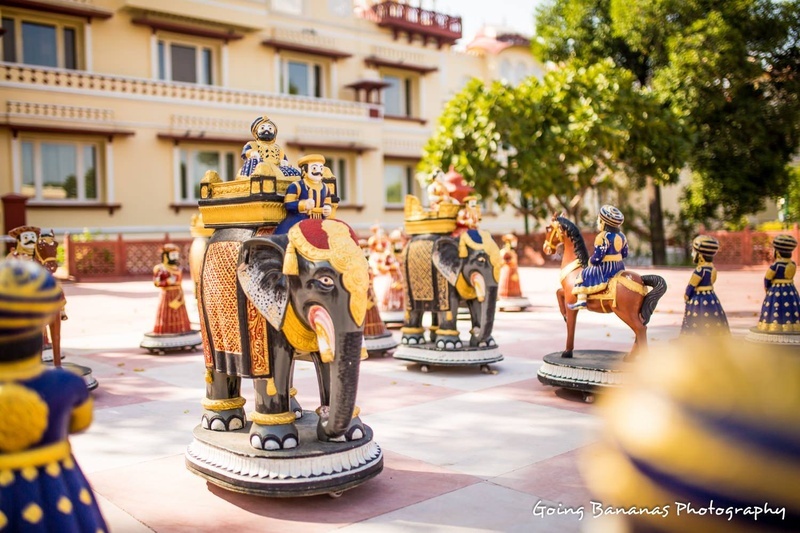 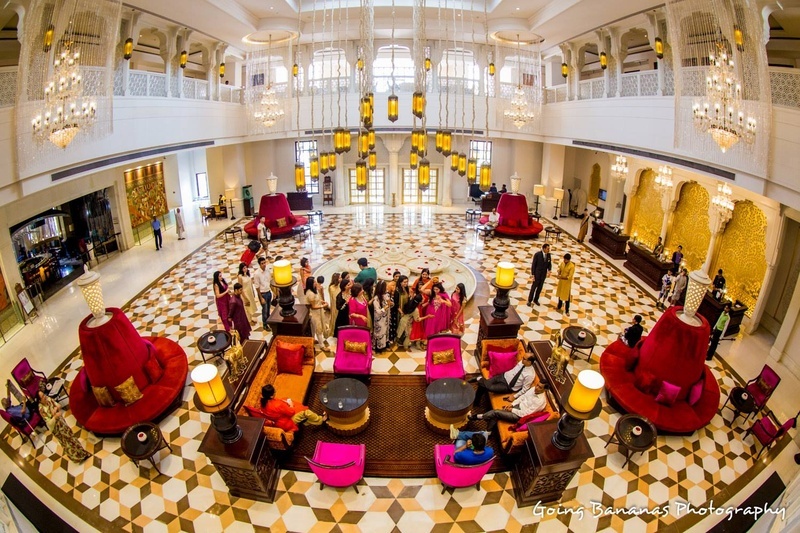 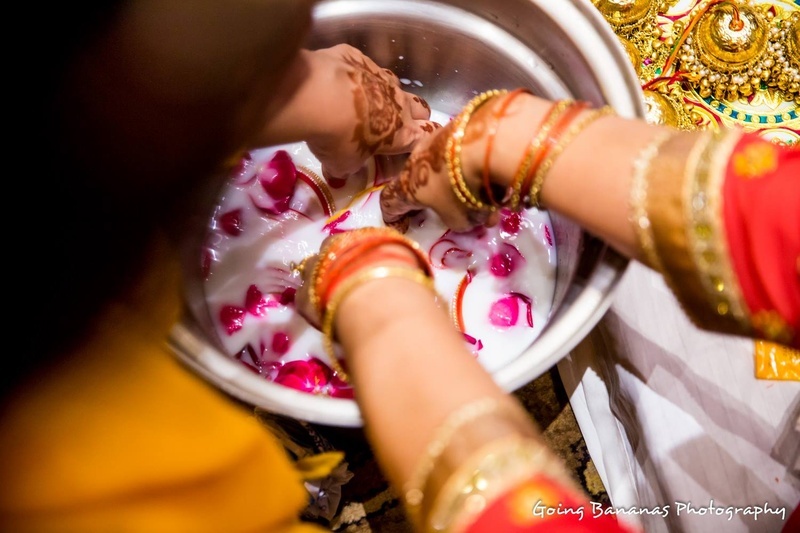 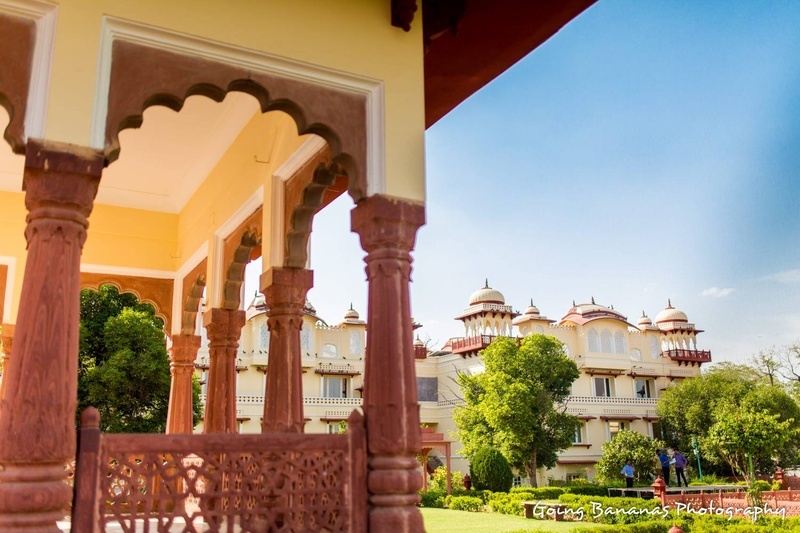 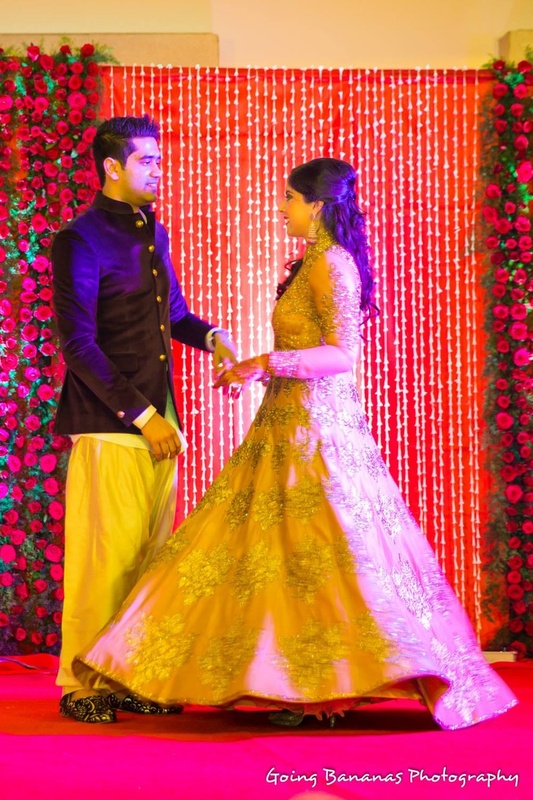 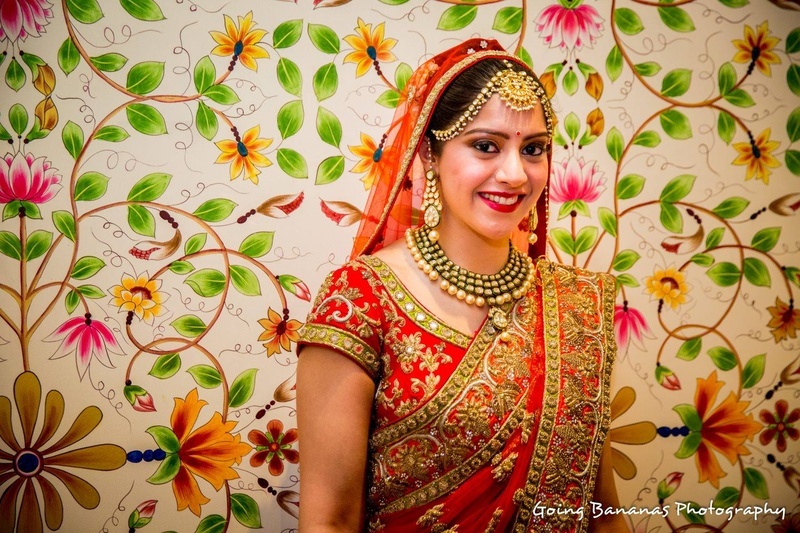 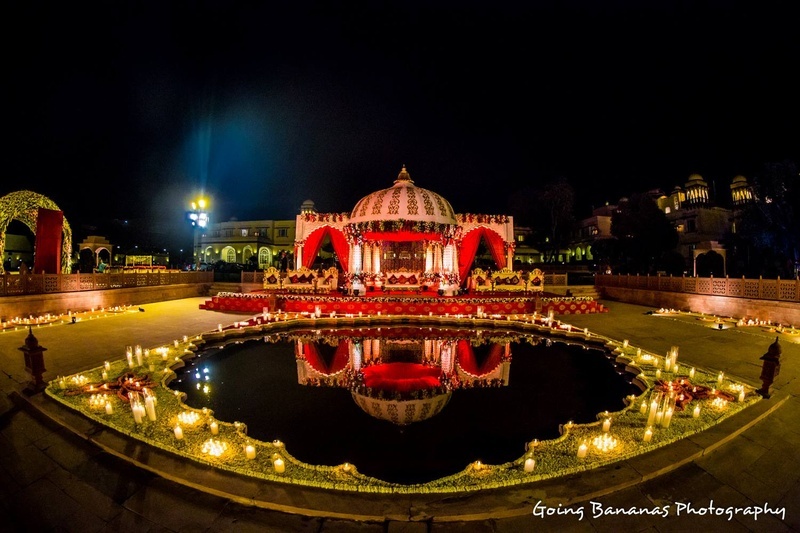 From the fresh wedding décor to the customized, proposal mehndi right down to Deepika’s bridal wear and jewellery picks – everything about this stunning destination Jaipur wedding had us swooning! 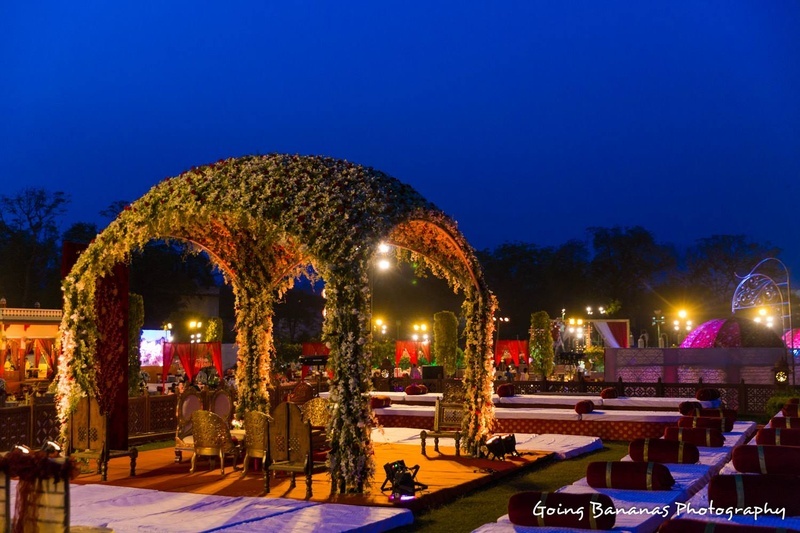 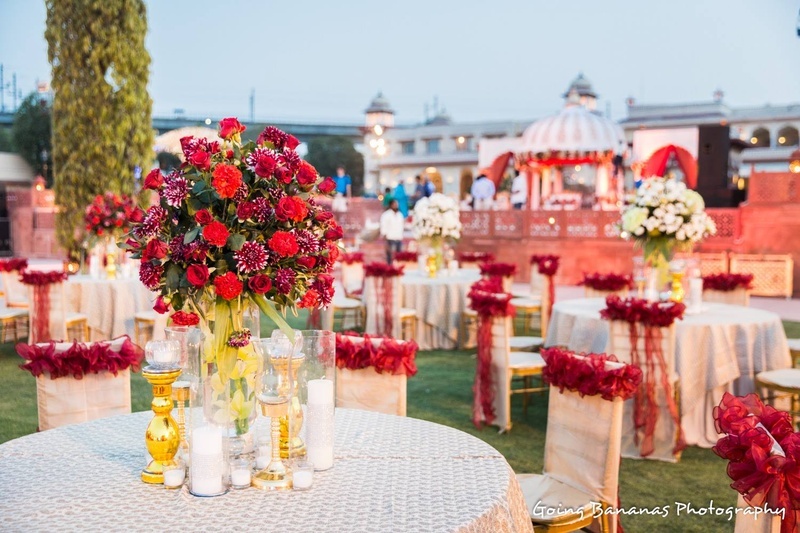 For the wedding, they went for an all-floral and fern vedi mandap complemented with white and red flowers along the walkway. 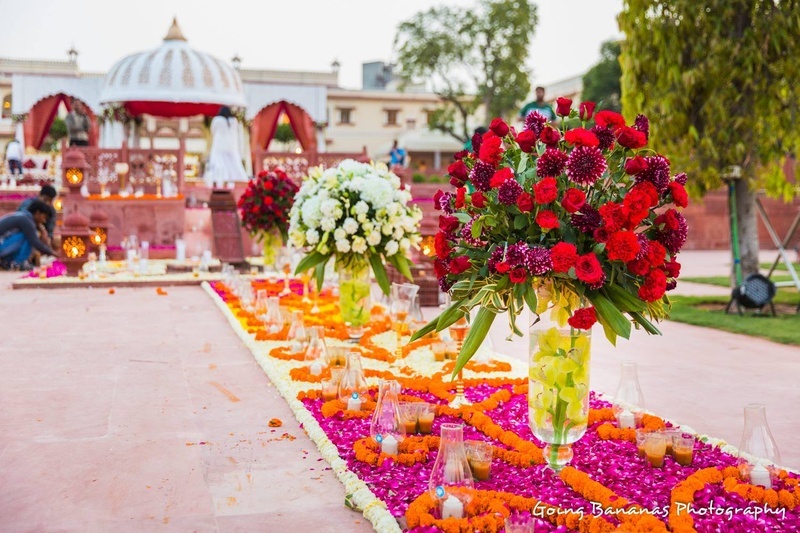 The quirky-personalized details of this wedding made it a perfect mix of a traditional and contemporary. 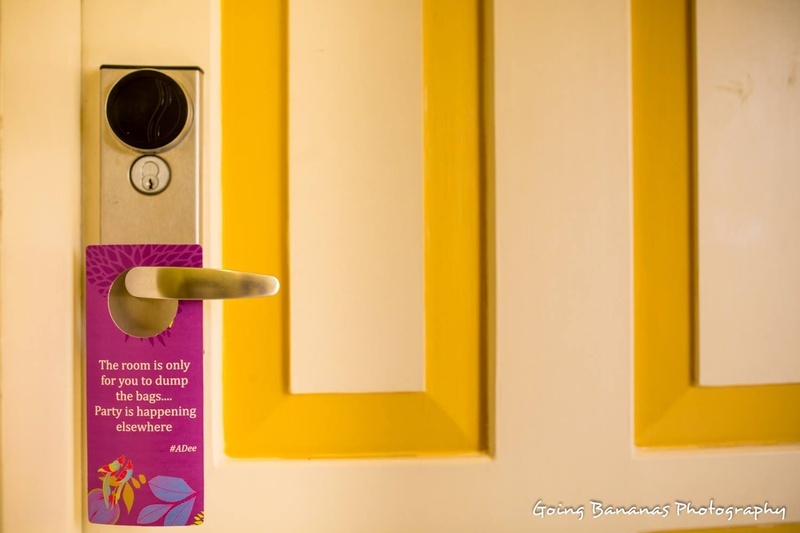 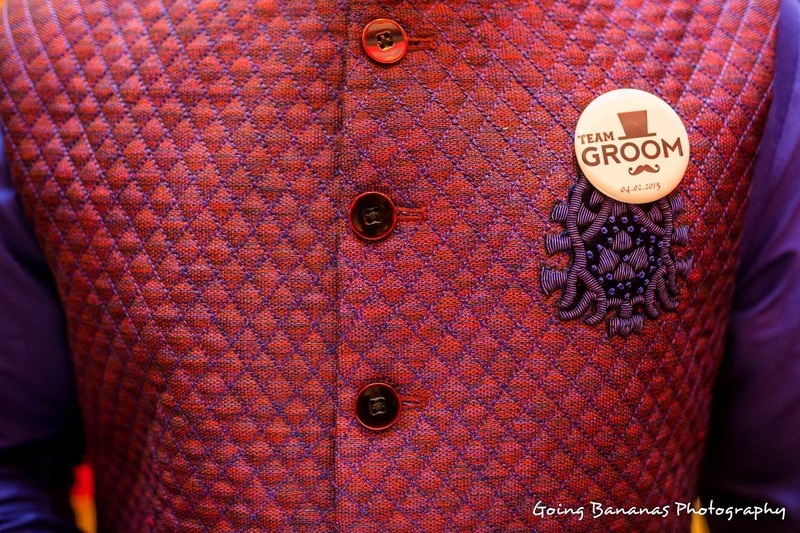 The cutesy door signs, #TeamGroom badges and the traditional wedding outfits all spelled out into a perfect mix. 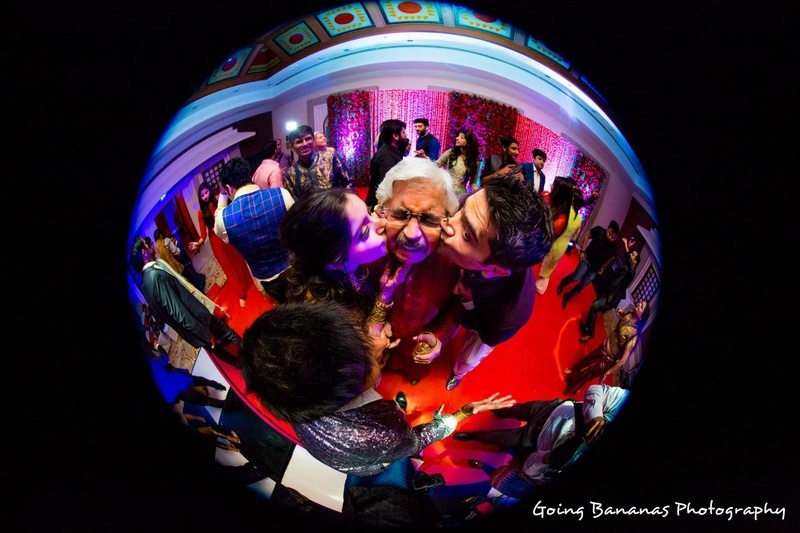 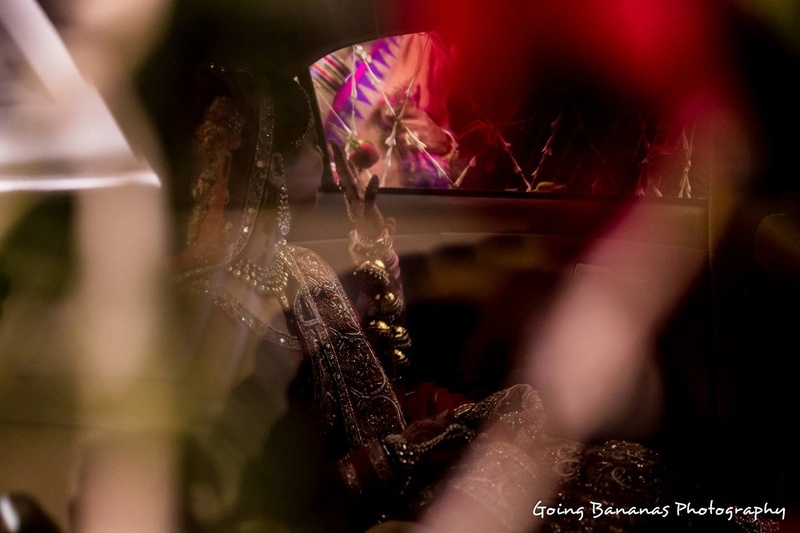 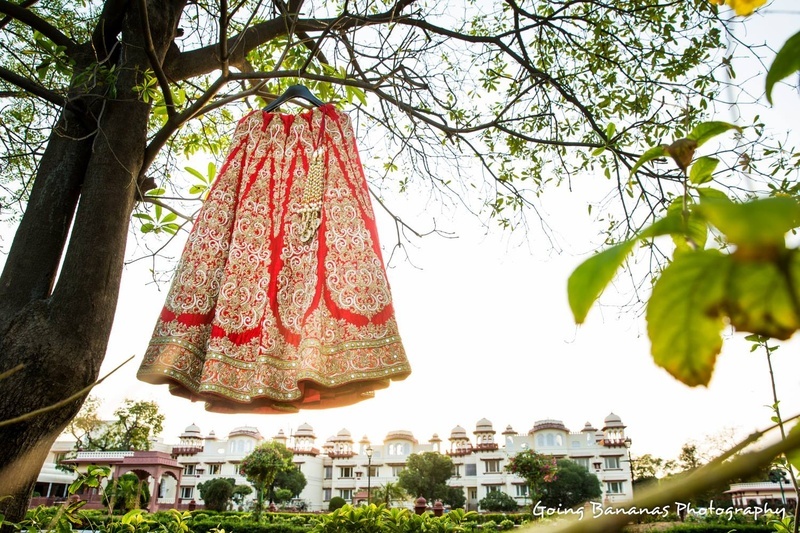 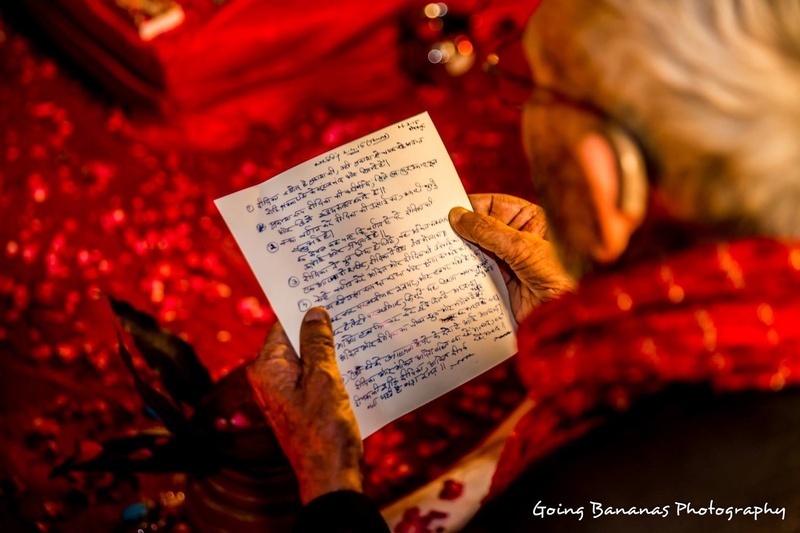 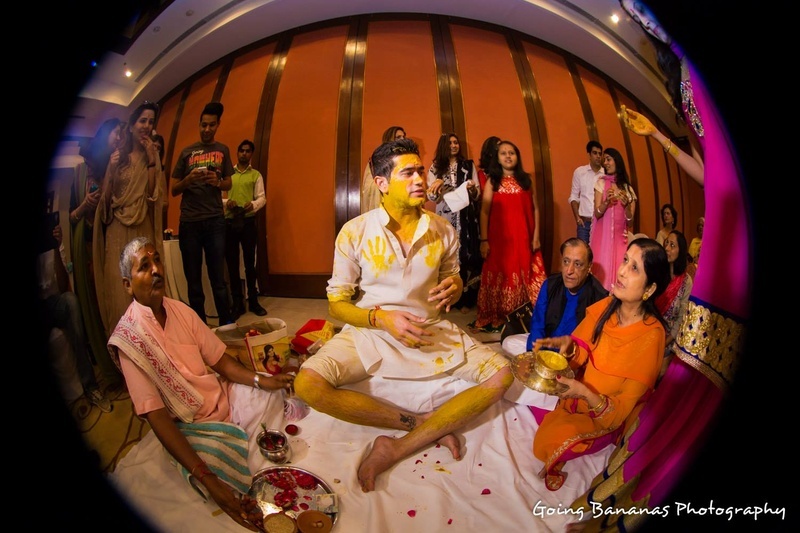 What to look out for as you scroll through this stunning Jaipur Wedding - the beautiful multi-colored waistcoat Ankit wore at the mehendi, the amazing "customised" mehendi Deepika got which was a helicopter, mountains and a banner - the story of how he proposed and the amazing fish-eye shots captured by Going Bananas Photography!